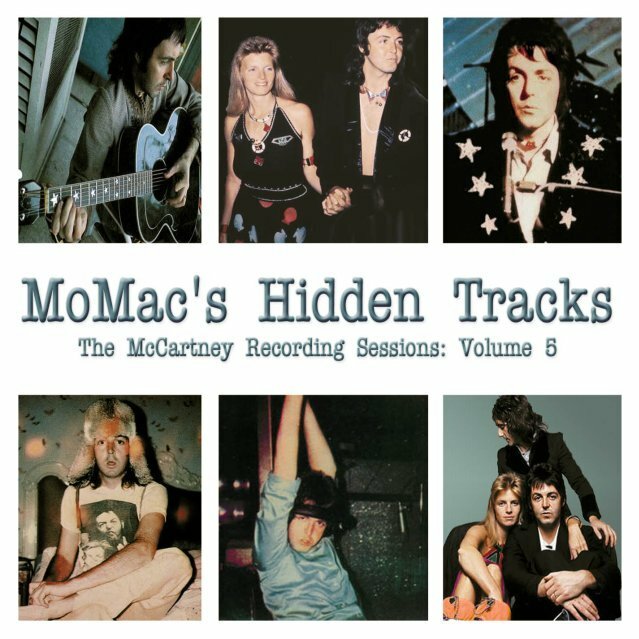 Volume 5 of 'MoMac's Hidden Tracks' continues where volume 4 left off, with the remaining tracks from the 'James Paul McCartney' TV special plus five tracks from Wings Newcastle concert in SBD quality. 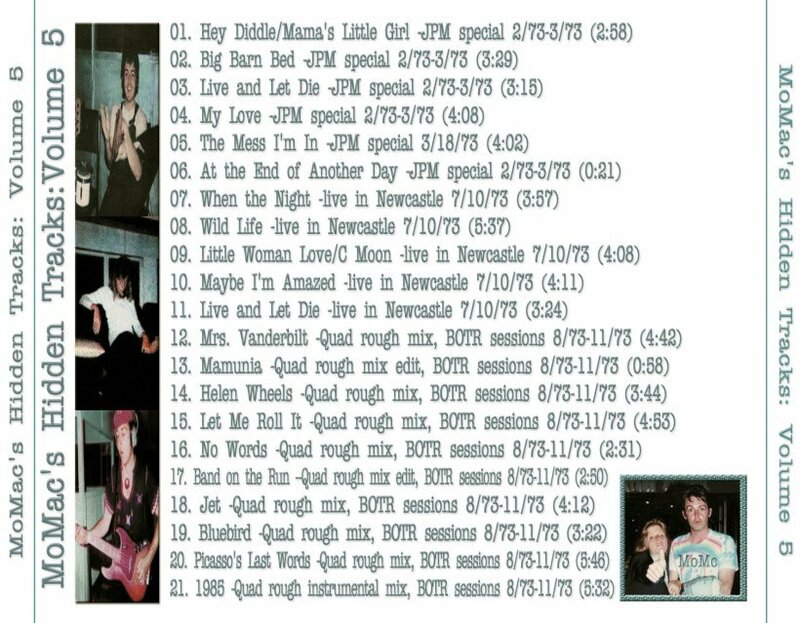 The last half of the disc features rough Quad mixes of the classic 'Band On The Run' album. It's really neat hearing these tracks in different, isolated mixes and the sound quality is excellent throughout. MoMac's Hidden Tracks - Recording Sessions: Volume 5 0 out of 5 based on 0 ratings. 0 user reviews.